Solid hardwood with a deep mahogany furniture finish and an inner gold lip. 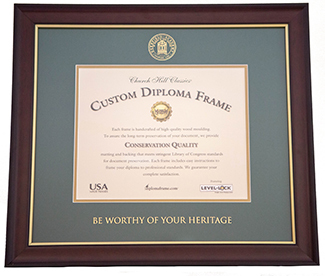 Museum quality double matted in green and gold with the Deerfield seal and Be Worthy of Your Heritage embossed in gold. Professionally finished easy-access back with hanging wire. Suitable for remembering your graduation day in classic style. 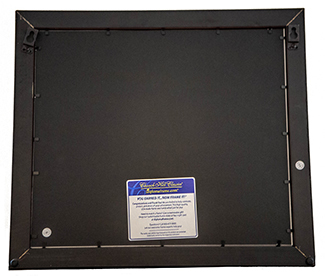 17 1/2" x 15 1/4" frame size. Mat opening size is 9 3/4" x 7 5/8".